Yesterday Disney announced their Fall promotional discounts – both free dining and room only discounts for select dates. These promotions took me back to late last summer when my wife (Clare) and I decided we were going to take advantage of similar promotions offered in 2012 and we booked our trip to take our sons for 5 nights in November. Because Clare is a NJ teacher we booked our trip to align with her 2 days off for NJEA teacher convention week (more on Jersey week in a future article). 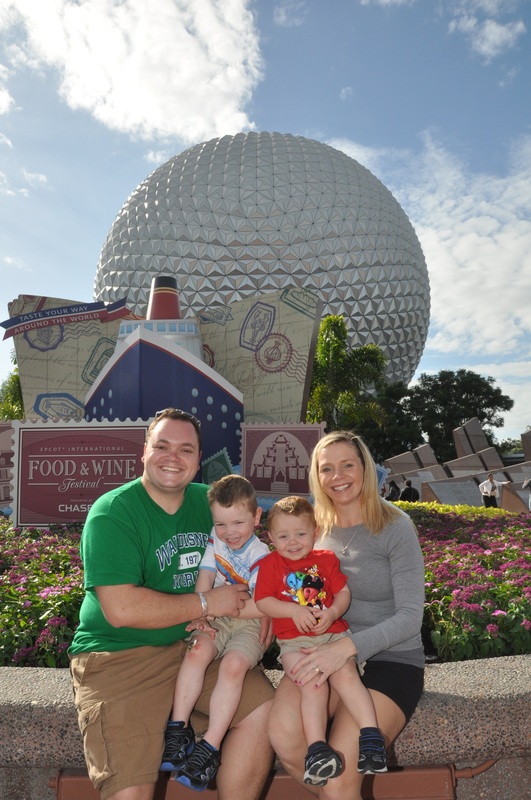 This turned out to be a great time of year to go because we were able to take advantage of Christmas events, and the weather was very comfortable, but a big surprise for us was that we were able to catch the end of the Food & Wine Festival at Epcot Center. We decided to spend our last full day of our trip at Epcot Center (mostly based on Touringplans.com projected crowd calendar). We spent the morning enjoying the attractions in Future World and after a light lunch at Sunshine Seasons, we began our tour of the World Showcase to sample all of the great samplings Food & Wine Festival had to offer. We knew from our research that many of the foods offered at the various stands could be purchased using a snack credit, so we saved all of snack credits for the festival. 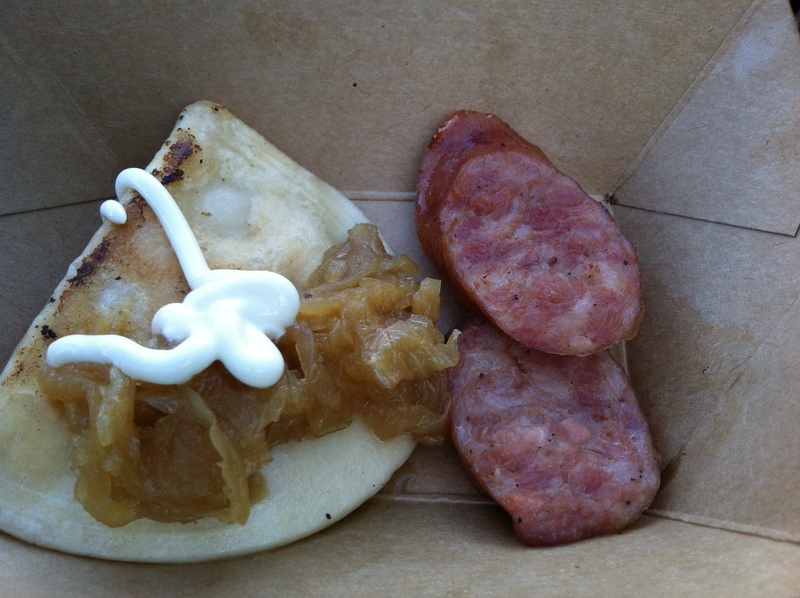 Our first purchase was at the stand in Poland – the Kielbasa & Potato Pierogie with Caramelized Onions and Sour Cream ($5.00 or DDP Snack) and a Tyskie beer ($6 – no alcohol on DDP). From a guy whose Polish side of the family has kielbasa at every major holiday, I was skeptical of trying it, but it was fabulous. This was a perfect sampling to either eat alone or share with someone special (in my case – Clare). We continued to tour the World Showcase, playing Agent P’s World Showcase Adventure with our boys, and stopping to meet various characters at meet & greets. 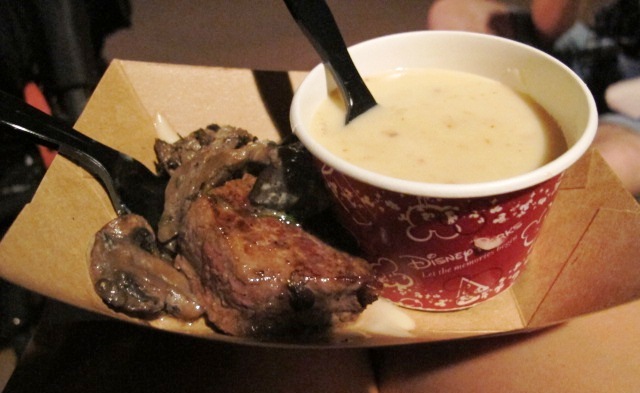 Our next food stop was in Canada for “Le Cellier” Wild Mushroom Beef Filet Mignon with Truffle Butter Sauce ($6.50 or DDP Snack) and Canadian Cheddar Cheese Soup ($4.00 or DDP Snack). These two “snacks” we simply amazing. Once again we shared these samplings, and although the portion was a nice size, it was so delicious that we both wanted more. 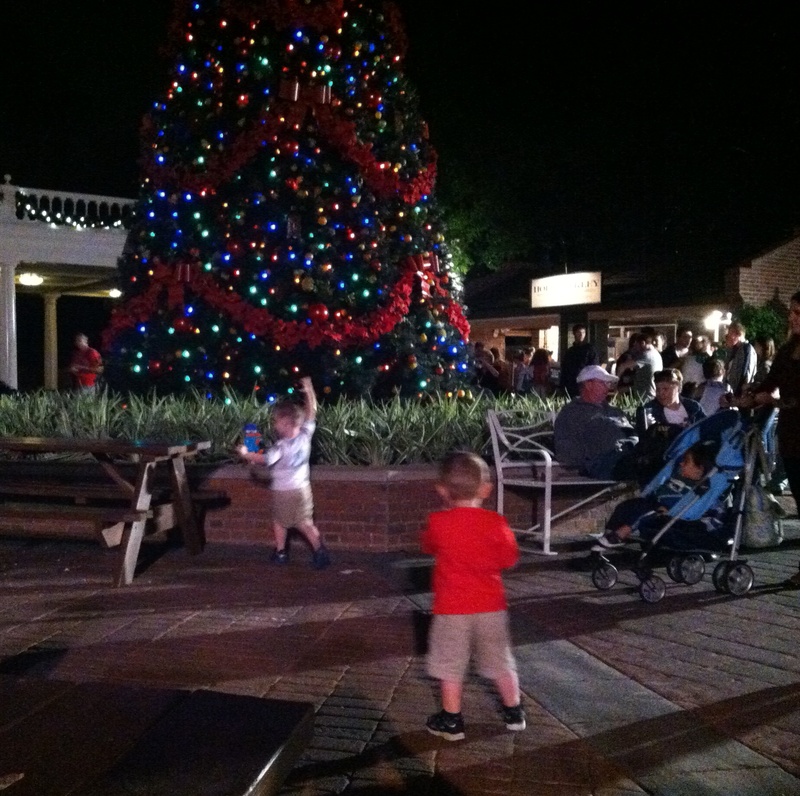 Our last stop was scheduled to coincide with the Eat to the Beat Concert Series where Big Bad Voodo Daddy was playing. 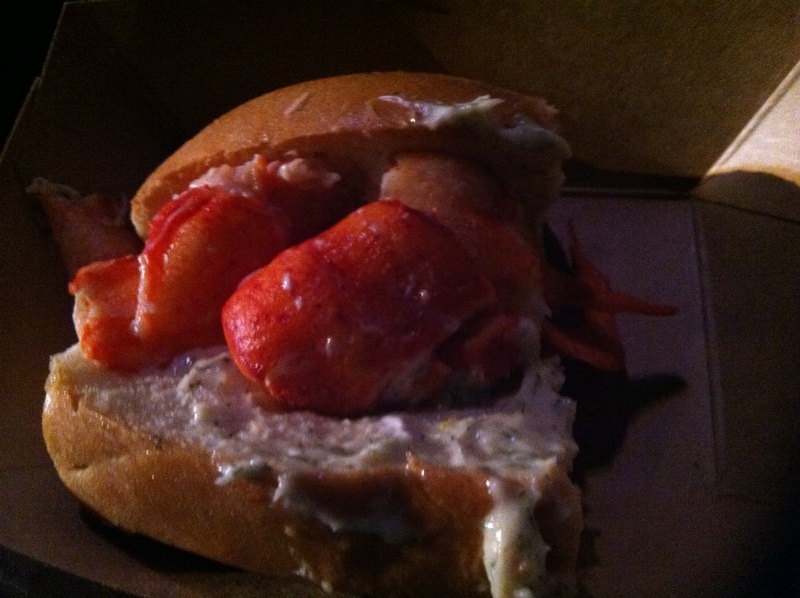 We stopped at the Hops & Barley stand to sample Linda Bean’s Perfect Maine Lobster Roll ($7.50 or DDP Snack) and Sam Adams Seasonal (12oz -$5.50) and sat at the picnic tables right outside the America Gardens Theatre to enjoy our huge and delicious lobster roll, as the boys danced to Go-Daddy-O. That was our last Food & Wine Festival stop, as we then took in Illuminations with Mickey Ice Cream bars from the Chase VIP area (more on that in the future). It was a wonderful day in Epcot made even more special by this great event. There are many ways to enjoy the Food & Wine Festival. Some trips are centered on this Festival and its offerings, while others (like ours) it becomes a great bonus to an already full trip. The dates for this year’s Food & Wine Festival are September 27 through November 10 and since Disney just released free dining dates and room only discounts, now might be the perfect time to talk to us about planning your getaway to enjoy this very tasty event!